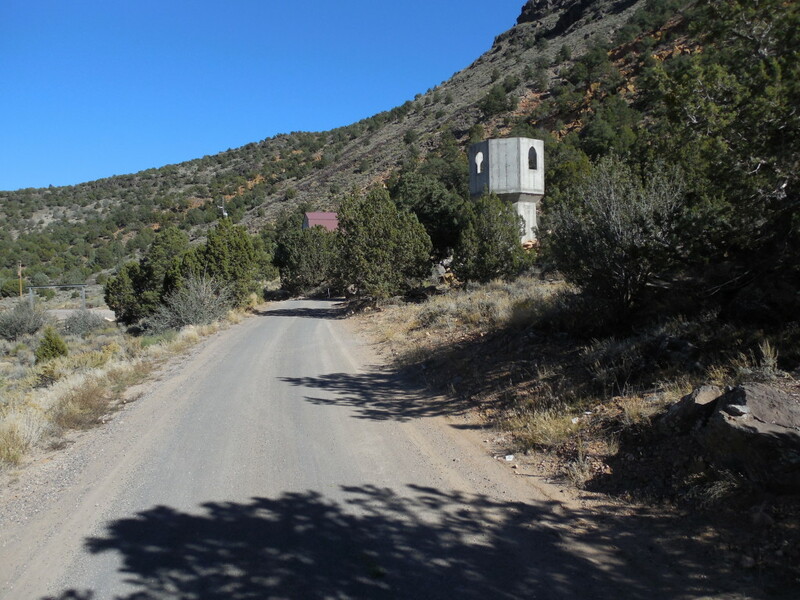 BROOKSIDE — Residents of Brookside are asking officials to take action on what they feel are dangerous and unsanitary conditions in partially constructed playhouse structures in the small rural community located about 20 miles north of St. George off of state Route 18. 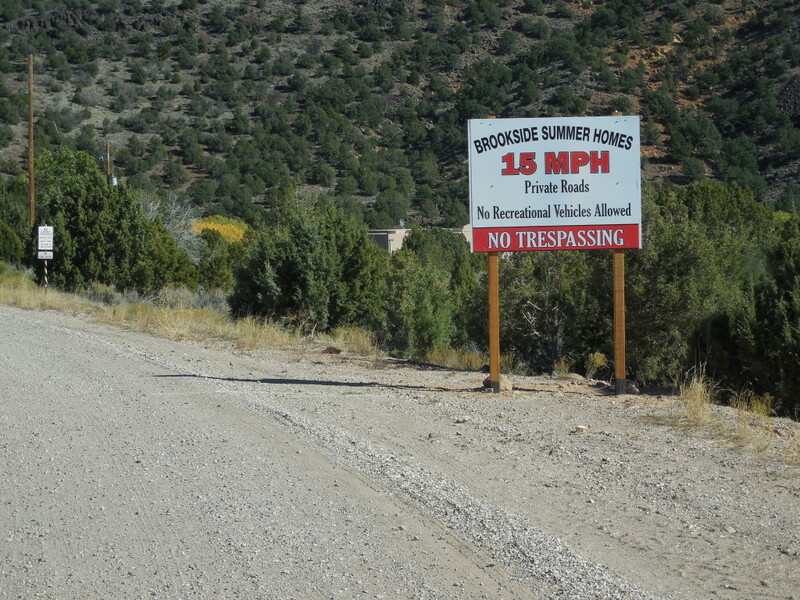 The residents believe county officials have failed to enforce their own regulations in the Brookside Summer Homes development and have asked the planning commission to revoke a permit for two adjoining lots owned by Randy Paul. Residents are upset by the lack of a proper lot-line setback for a “Rapunzel” tower structure being built within a few feet of Stagecoach Drive, and, they said, inadequate sanitation facilities on the lots present unsafe and unsanitary conditions. Jim Mendenhall, Lundgren and several other residents believe the partially constructed tower is not only illegally close to the road, but is in danger of collapsing and blocking the only access into part of Brookside. None of the playhouse structures on the property have a building permit and the group of residents are concerned about the stability and safety of the structures. 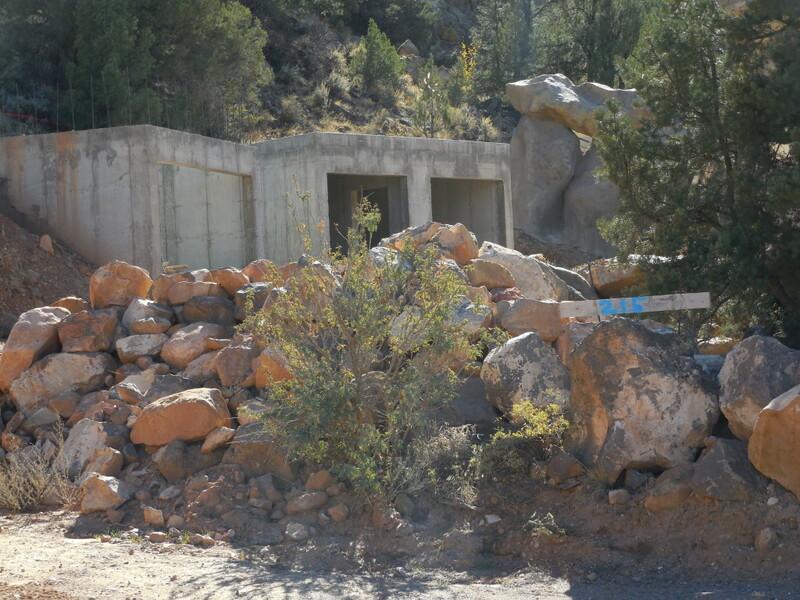 The structures include a “rock house,” which Kathy Tanasz said is about 1,500 square feet in size and includes living, dining, sleeping and shower facilities. However there is no underground plumbing. “This structure is a habitable house,” Tanasz said, and has been under construction for nine years even though there is no building or conditional use permit. 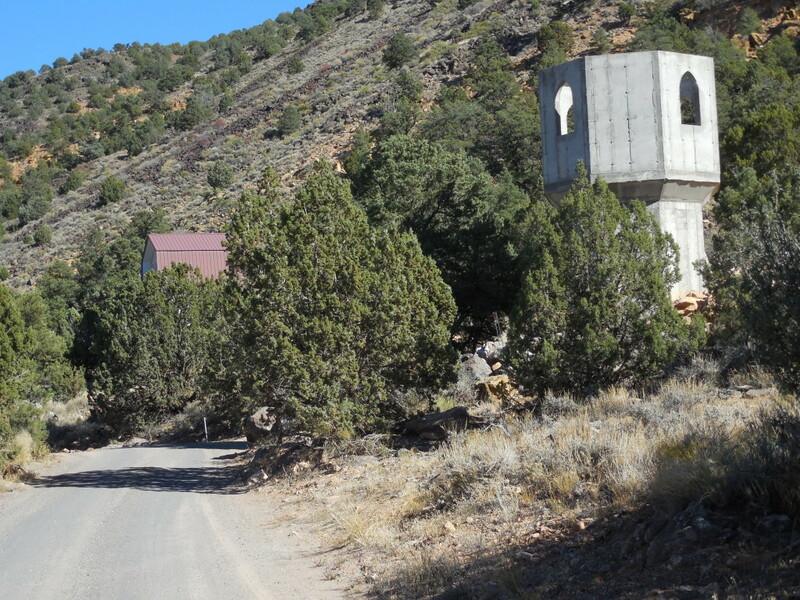 The rock house, the tower and another “hobbit house” structure were given permits as accessory buildings, Tanasz said, even though there is no main building or house on the property and accessory buildings are not supposed to exceed 200 square feet. Two camp-style port-a-potties on Paul’s property are not being properly emptied and cleaned, which is unsanitary and unsafe, Mendenhall said. The original conditional use permit on Paul’s property allowed the porta-potties to be used, with the waste to be dumped into the existing septic system on one of the lots. However, Mendenhall said, the potties are not being emptied or cleaned. “I live right next door, and it doesn’t sit well with me,” Mendenhall said. 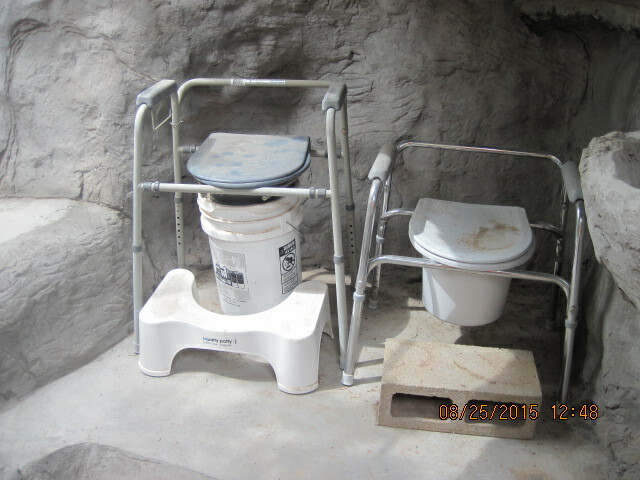 At a recent hearing, Tanasz showed pictures of human waste in buckets and on the ground. There is no open access to the septic system on the Paul property, so raw sewage is being stored in a bucket, Mendenhall said. Paul said he only visits the property a few times a year, and doesn’t know where the human waste is coming from. Paul was granted a conditional use permit in August 2014 to build several play structures on his property for his children and grandchildren, a planning commission staff report states. Paul has not built a residence on the property but plans to do so at some point in the future, he said. Usually, accessory buildings are constructed after a residence is built. Mendenhall asked the commission to revoke Paul’s conditional use permit, and the issue was discussed at length during a commission meeting Oct. 13. 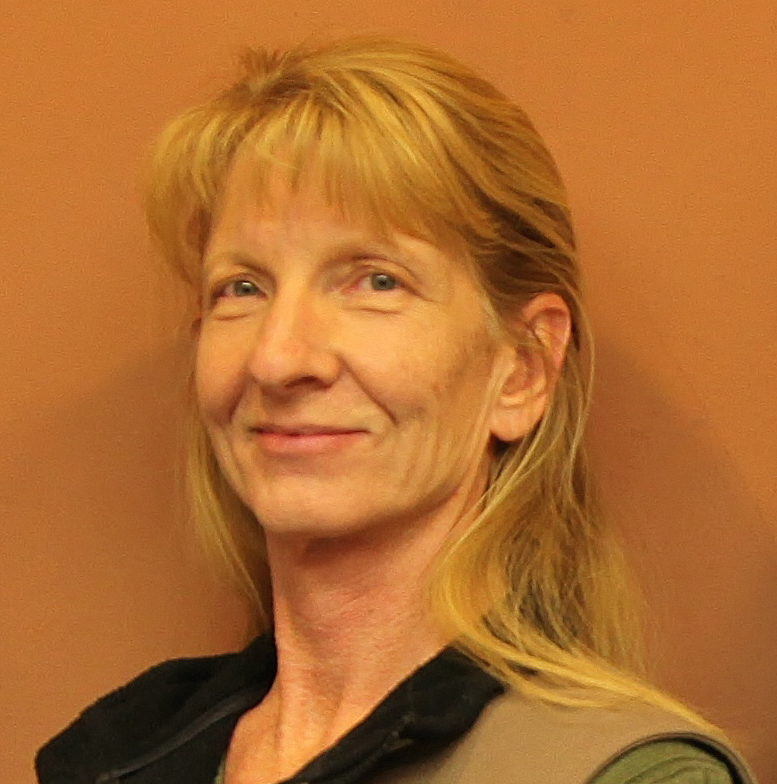 However, Paul’s conditional use permit was left in place despite protests from Mendenhall, Tanasz and Lundgren. The group of residents appealed the planning commission’s decision to Washington County’s appeal authority, consisting of the county’s three commmissioners, at a hearing Monday. Several Brookside residents spoke at the hearing, as did Paul. The discussion was heated at times, however the commissioners did not reach a decision during the meeting. As the appeal authority, they have 15 days to reach a decision. During a planning commission meeting Oct. 13, Washington County Community Development Director Scott Messel said that Brookside is an old subdivision, approved in the 1960s, which does not meet current regulations. It is considered a “legal nonconforming” development that has been grandfathered in. Roads through Brookside are not legally designated roads but rather ‘access easements’ that cross the lots somewhat randomly, Messel said. 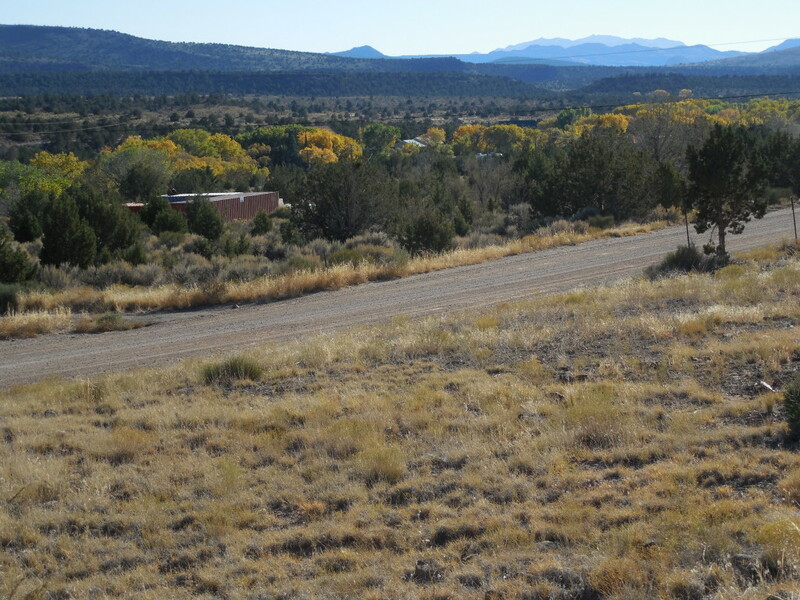 In more recent developments approved by county planners, land for roads is set aside so boundaries between roads and lots are clear. 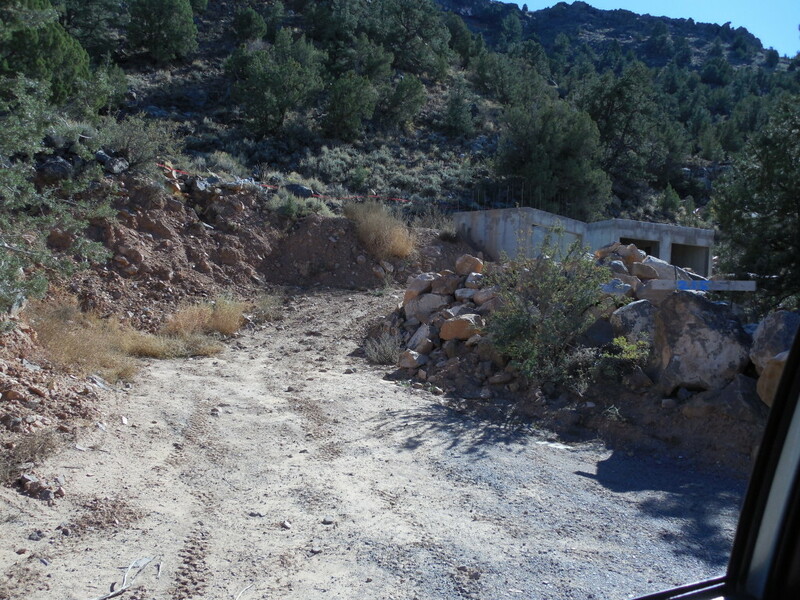 The front yard setback is usually established by which lot line is adjacent to a road or dedicated public right of way. In Brookside, roads cross some lots right in the middle, dividing them into two or three pieces. This makes it hard to say which is a front, side or back lot line, Messel said. The planning commission decided in the October meeting that in order to be fair to other property owners, all lot lines in Brookside are interior lines, meaning structures can be built within 3 feet of the property line if there is no dwelling within 10 feet. Lundgren takes issue with the planning commission’s rationale for not enforcing a 25-foot setback and said that when he built in Brookside, he was required to observe the setback. During the hearing, Lundgren disagreed, saying that just because something illegal has been done once is not a valid reason to allow it to happen again. The group of Brookside residents may take legal action if the planning commission does not revoke Paul’s conditional use permit, Mendenhall said. Hmmmm, Sounds like to me some people have been trespassing. What’s there to do on a lazy, before Thanksgiving afternoon in the rural community of Brookside? Why, complain about something. Is there anything that really gets your goat? Duh Yea! he didn’t even ask for our opinion on what he should build on his own property for his grand kids. Be thankful he didn’t build a Muslim house of worship or something pilgrim. Oh this article is funny! What you have here is 3 old hermits who have to get their blood pumping just to stay upright. Nobody is mentioning the fact that Lundgren ( who has been living here for less than a year) put up a shipping container right next to the road, or that Mendenhall puts up a new storage shed quarterly. The majority who live here stay out of people’s business and live peacefully. I like the tower and am familiar with Pauls work. He always incorporates the surrounding area and it probably won’t even be noticeable once he’s done. 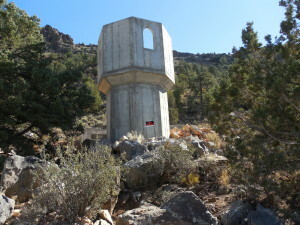 Most people didn’t even know there were other structures there for years because it was soo camouflaged. Maybe I’ll come to your house and take a picture of the crap in your toilet and show you that your crap stinks too, haha!